The festive season has arrived at IH as well! 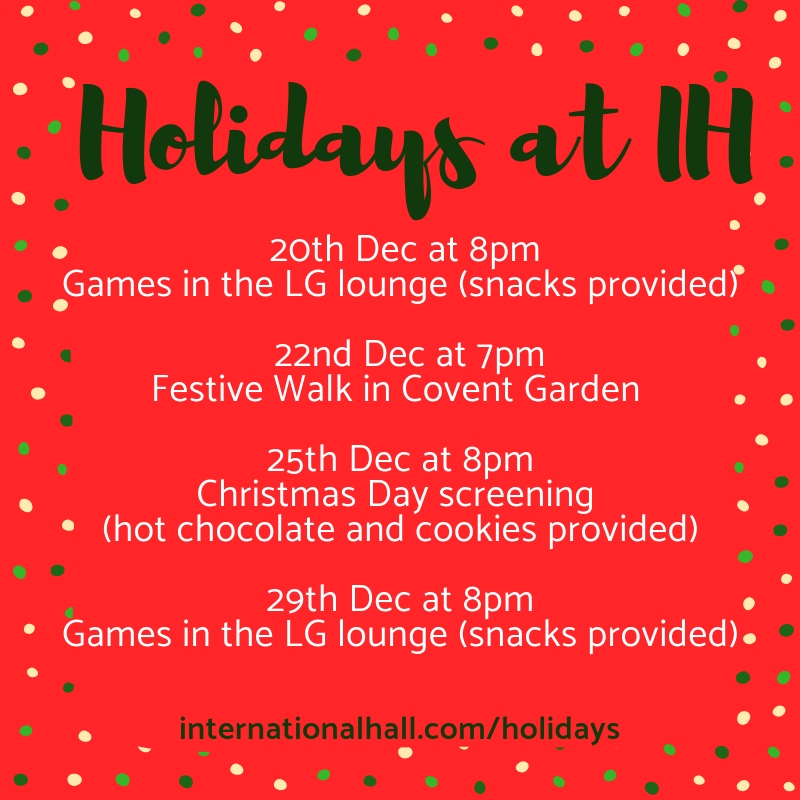 To celebrate the end of term on Friday, 7 December, we have both a Christmas dinner in the Dining Hall and the IH Winter Holiday party (from 8pm onwards) in the Common Room. A special Christmas event for Postgraduates will take place on 13 December at 8pm in the LG lounge. The postgrads who are attending are encouraged to bring festive dishes from their places of origin. We also have a few festive films in the cinema.